Bentley has come to really enjoy swimming. 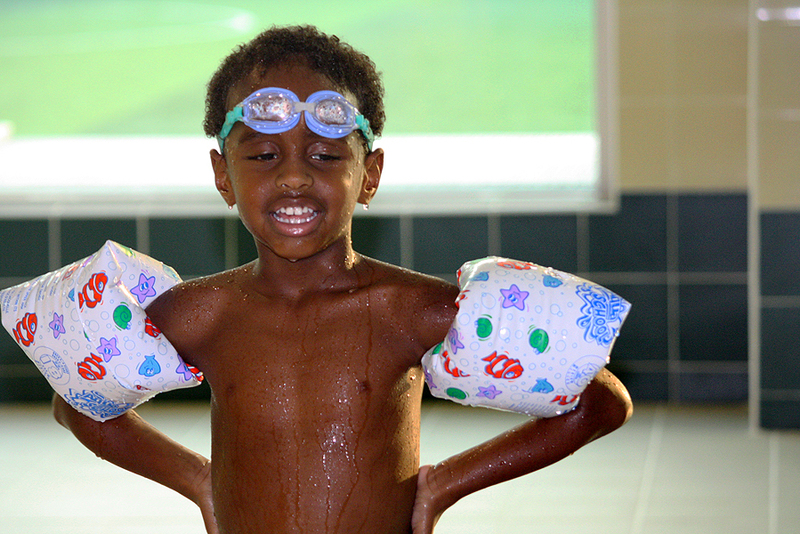 His water wings give him a lot of confidence and his goggles allow him to submerge his head and enjoy seeing under water. You should have seen his consternation the first time he tried water wings AND goggles because he tried to go under water but the water wings made him too buoyant to submerge!